Leslie Castellano built her early lead and never looked back. With the final election night report, Castellano finished with 47.78 percent of the vote, trailed by Anthony Mantova with 24.07 percent, then Hailey Lamb with 16.11 percent and Caroline Brooks with 11.85 percent. The final report tallies 540 Ward 1 ballots. The final report includes 1,546 Ward 3 votes. 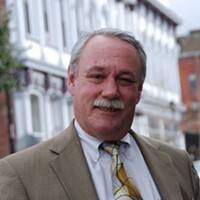 Incumbent Kim Bergel similarly coasted to reelection. After building an early lead, the final report has Bergel holding off conservative challenger Joe Boninio with 62.29 percent of the vote to Bonino’s 37.49 percent. The second report includes 891 Ward 5 votes. Susan Seaman, meanwhile, built on her slim early lead in the race to replace Frank Jager as Eureka’s mayor. In the final election night tally, Seaman took 44.38 percent of the vote, with 4,948 ballots counted in the race thus far. Michelle Costantine trails Seaman with 30.42 percent of the vote, with incumbent Ward 2 Councilmember Heidi Messner bringing up the rear with 24.56 percent of the tally. Eureka’s effort to impose a 0.25 percent sales tax to fund road repairs seems to have failed to reach the 66 percent threshold needed to pass. In the final election night tally, it 61.85 percent of the 5,049 ballots cast. For the full countywide final election night report, click here. Leslie Castellano has built on her early lead. With the third election night report out, Castellano has taken 47.78 percent of the vote, trailed by Anthony Mantova with 24.07 percent, then Hailey Lamb with 16.11 percent and Caroline Brooks with 11.85 percent. The third report tallies 540 Ward 1 ballots. The second report includes 1,227 Ward 3 votes. Incumbent Kim Bergel is coasting to reelection. After building an early lead in the two election night tallies, the third report has Bergel leading conservative challenger Joe Boninio with 62.29 percent of the vote to Bonino’s 37.49 percent. Susan Seaman, meanwhile, has built on her slim early lead in the race to replace Frank Jager as Eureka’s mayor. Seaman has taken 44.23 percent of the vote through the third report, with 4,630 ballots counted in the race thus far. Michelle Costantine trails Seaman with 30.32 percent of the vote, with incumbent Ward 2 Councilmember Heidi Messner still bringing up the rear with 24.77 of the tally. Eureka’s effort to impose a 0.25 percent sales tax to fund road repairs is still struggling to approach the 66 percent threshold needed to pass. Currently, it has taken 61.71 percent of the 4,732 ballots cast. For full countywide second report election results, click here. The results in Ward 1 remain unchanged. Leslie Castellano still holds the early lead in the only council race without an incumbent. Castellano holds 36.63 percent of the vote, trailed by Anthony Mantova with 30.69 percent, then Hailey Lamb with 20.79 percent and Caroline Brooks with 11.88 percent. The second report tallies 202 Ward 1 ballots. The second report includes 1,031 Ward 3 votes. Incumbent Kim Bergel doesn’t appear to be looking back. After building an early lead in the first tally of the night, the second report has Bergel leading conservative challenger Joe Boninio with 62.29 percent of the vote to Bonino’s 37.49 percent. Susan Seaman, meanwhile, has held her slim early lead in the race to replace Frank Jager as Eureka’s mayor. Seaman has taken 43.97 percent of the vote through the second report, with 4,105 ballots counted in the race thus far. Michelle Costantine trails Seaman with 30.09 percent of the vote, with incumbent Ward 2 Councilmember Heidi Messner still bringing up the rear with 25.31 of the early tally. Eureka’s effort to impose a 0.25 percent sales tax to fund road repairs has surged forward, having taken 61.85 percent of the 4,204 ballots cast thus far. The measure needs 66 percent of the final tally to pass. 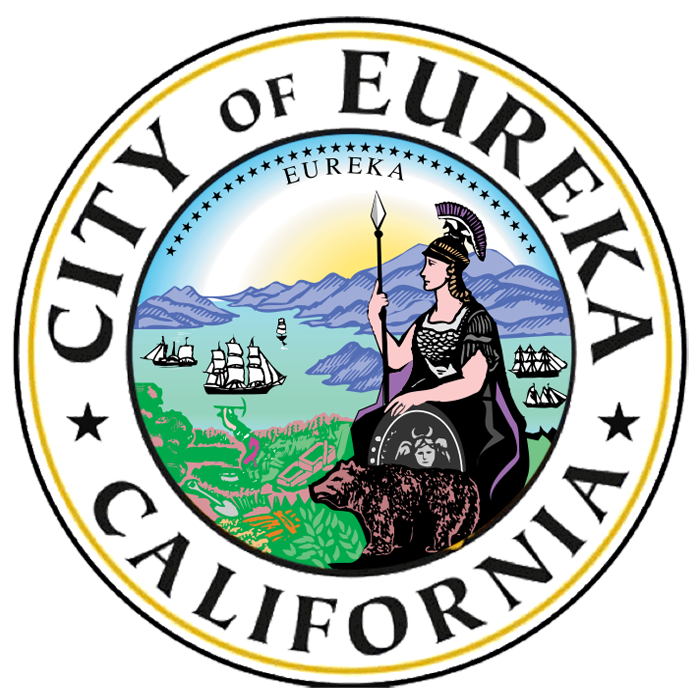 In what’s sure to be a long, busy night for Eureka, two city council members are fighting to retain their seats as four challengers square off for a third seat on the council and three vie to become the city’s next mayor. Adding an interesting wrinkle is the fact that this is the first time Eurekans hit the polls under the city's new "true ward" system, which limits voters to casting ballots for the candidates seeking to represent the ward in which they reside. As a result, people should expect to see lower vote tallies and, likely, tighter races. And looming in the background is Measure I, which seeks to impose a 0.25 percent transaction and use tax to fund road repairs within the city. If approved, the measure is projected to generate about $2.2 million annually to help the city maintain its roadways. It needs a two-thirds, super majority vote to pass. In the only race without an incumbent, Leslie Castellano has jumped out to an early lead, taking 36.63 percent of the vote. Anthony Mantova trails close behind with 30.69 percent of the vote, followed by Hailey Lamb with 20.79 percent and Caroline Brooks with 11.88 percent. The first return, comprised entirely of vote by mail and early vote ballots, included 202 Ward 1 votes. The first return, comprised entirely of vote by mail and early vote ballots, included 801 Ward 3 votes. Incumbent Kim Bergel has taken a commanding, if early, lead over conservative challenger Joe Bonino. In the first return, comprised entirely of vote by mail and early vote ballots, Bergel has taken 64.27 percent of the 361 votes counted to Bonino's 35.73 percent. Susan Seaman has crept out to a slim early lead in the race to replace Frank Jager as Eureka's mayor. Seaman has taken 40.63 percent of the early vote, comprised entirely of vote by mail and early vote ballots, with 2,166 votes cast. Michelle Costantine trails Seaman with 31.44 percent of the vote, with incumbent Ward 2 Councilmember Heidi Messner currently bringing up the rear with 27.19 percent of the early tally. Early voters apparently support Eureka's effort to impose a 0.25 percent sales tax to fund road repairs, with 59.28 percent casting ballots in favor of Measure I. The measure needs 66 percent of the final tally to pass. For full countywide first report election results, click here.